April 10, 2014 - After a pubic outcry over a mass firing, UPS (United Parcel Service) has reverse its decision to fire 250 drivers following a 90 minute strike that took place back in February which was the result of the firing of a fellow worker. UPS and union officials were able to come to an agreement on the terms to bring the drives back to work. UPS spokesman Steve Gaut said “the 250 UPS employees involved in the walkout who were terminated for their actions will have their terminations reduced to a two week suspension without pay for each participant. 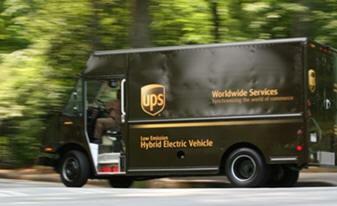 “UPS has chosen to settle the matter in order to return to normal operations at the site." In Maspeth, NY, on February 26, hundreds of UPS drivers walked off the job after UPS fired longtime union activist, Jairo Reyes without providing him with a fair hearing that he was entitled to. Fellow works outraged over the firing and aware that violating one worker's rights threatened them all, the drivers walked off job in protest and to stand in solidarity with a fellow worker. Under the agreement between UPS and Union officials all terminated drives will only receive a 10-day suspension. The Union, Local 804 also agreed to pay monetary damages to UPS. Reyes' discharge has been reduced to a suspension and without pay for the period from February 26 until he returns to work. UPS agreed to work with Local 804 to improve labor management relations at the company and to handle disciplinary disputes more expeditiously under the new grievance procedure.